Space is always a fun theme for preschool and kindergarten, and those spaceships have to get to their destinations somehow! Let your kids help them with this Outer Space Prewriting Practice printable! 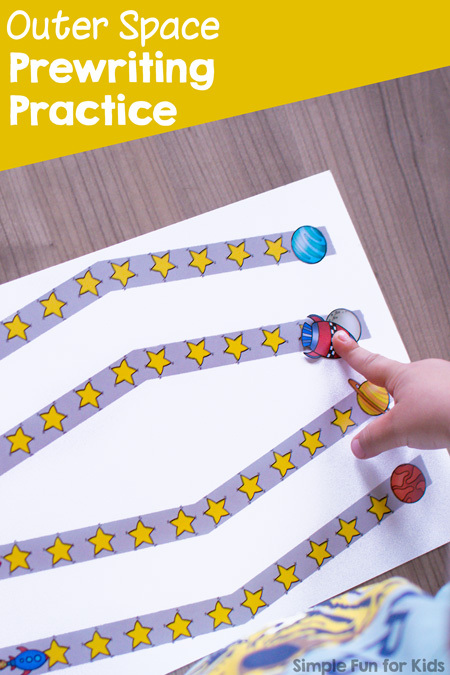 Whether you use a marker to trace the lines, simply a finger or cut out a rocketship to move along the trail of stars, you can easily practice important fine motor skills that help with learning to write. The file contains four pages of prewriting practice lines at different levels of difficulty. I’ve included five straight lines, four different lines with one corner each, four different zig-zag lines, and four different curved tracing lines. 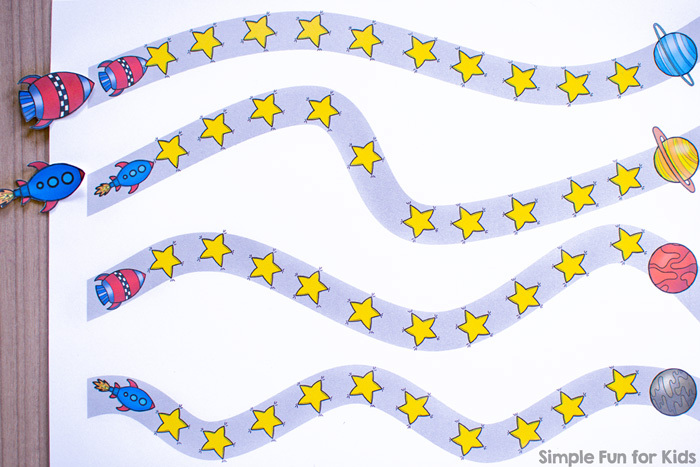 There’s also one page of rocketships your kids can use to trace the lines (optional). 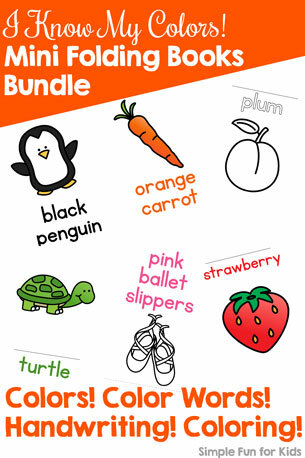 Print the page(s) that correspond to your kids’ developmental level. Provide a marker to trace the lines or cut out one or more of the extra rocketships to make it even more fun. Or have your kids trace the lines with their fingers to make this prewriting activity ultimately quick and simple. Download your Outer Space Prewriting Practice Printable! My A is for Astronaut Handwriting Letter Mazes use images from the same set.